Do you want to reduce water costs in your hotel? The key to reducing water costs is reducing usage or consumption, and three great places to do this are in the kitchen, the laundry department and public and private restrooms. Speak with your staff about reducing water usage. Make sure that housekeeping staff is only washing full loads of laundry and kitchen staff only full loads of dishes. Purchase quality linens that won’t tear or disintegrate quickly. Start a linen reuse program in your hotel – guests will appreciate your attempts to go green and you will love the savings! Consider installing low flow toilets and shower heads, as well as sinks with motion detectors in all of your restrooms. And, energy efficient appliances like washing machines and dishwashers may be more expensive up front but will definitely save you money when the energy bill comes due! Be sure to talk to your kitchen staff about your efforts to reduce water consumption as well. Encourage them to turn off faucets when not in use and not to thaw food under running water. Additionally, remember to train your staff to be on the lookout for leaks or other plumbing issues. 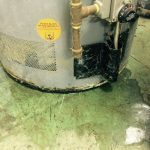 Leaks can be very costly if left undetected! You simply can’t afford to keep ignoring your hotel water usage – not just for your profit margin, but also for the environment. You’ve got a lot more than just rooms to manage. There’s the kitchens, multiple public and in-suite bathroom facilities, pools and hot tubs, laundry, cooling, heating and landscaping. All of these places use incredible amounts of water, and if you don’t understand how quickly those water usage costs can add up, then your hotel could be missing out on some serious money. Learn how to reduce water usage and potentially improve your bottom line in the process. Cutting costs should never mean cutting quality, especially when it comes to housekeeping. Smart companies seek ways to cut costs across the board. Keeping an eye on overhead is rarely a bad idea. Plenty of costs can sneak up on hotel owners. Food costs, energy costs and staff costs squeeze profit margins daily, even if your hotel runs in tourist seasons. Many hotels big and small are looking into green initiatives to save money and increase guest awareness. Another option is doing the math on housekeeping and laundry expenses. An hour or two with a spreadsheet and a search engine can help owners figure out how to get the most for their money. Green practices in hotels are on the rise and your business can benefit from joining the ranks. Going green can mean a lot of big changes or a few small ones — but even a little goes a long way. Understanding how to attract guests to your hotel isn’t always easy, but we recommend trying these eco-friendly practices to help set you apart from the competition and appeal to the growing number of sustainability savvy travelers. Is doing a little work now worth not having to call in expensive experts during an emergency? In the long term, yes. Benjamin Franklin famously said “A stitch in time saves nine.” The saying is about taking steps now to prevent problems in the future. More often than not, big issues start as little ones, so taking time to resolve little issues before they become big ones can save time, effort and, most importantly to your hotel property: money. The stich in this case is called preventative maintenance. The nine refers to the other stitches you’ll have to make by skipping preventative maintenance.